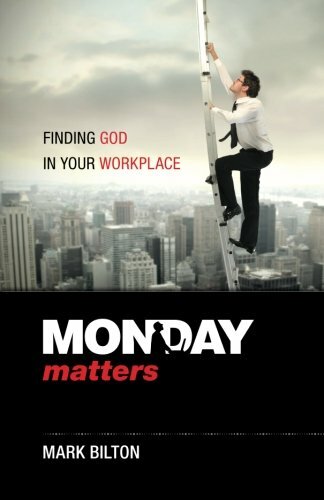 Monday Matters: Finding God in your workplace. There is a revolution taking place around the world. It is a realization that God is vitally, passionately, and intimately interested in the workplace. Many have embraced the biblical concept of our whole life being impacted by God, and that there is no separation between the sacred and the secular. How do you find God in your workplace? In this book Mark provides insights and a practical framework that lays out God's purpose for work. These lessons have been mined from real world commercial experience. Author Mark Bilton has walked with God and seen Him open doors that have taken him from the shop floor to the boardroom; from sales assistant to CEO. Work is a vital part of His plan and purpose for us. We have been lovingly crafted, anointed and appointed, for a particular purpose. We will only reach our full potential as we recognise God's hand at work in our work. If you have any questions about this product by Called to Business, contact us by completing and submitting the form below. If you are looking for a specif part number, please include it with your message.